When life struggles are tough we often turn to someone for support. Even though we know they care for us, do you ever wonder if they have an opinion about it all? I know there was a time in my life that nonjudgmental support would have meant the world to me! We had gone through 2 years of unanswered question. Test after test, evaluation after evaluation. The day finally came. I remember it well. It was April 2, 2012. My husband and I entered into a room that had a desk, 3 chairs, a pile of papers and a plant in the corner. The walls were a flat gray and I remember thinking to myself that this room was very emotionless. It seemed odd because I was so full of emotion. I felt like I had been punched in the gut. It was a diagnosis I was trying to prepare for, but I kept telling myself that I was overthinking everything. For years we had been dealing with speech therapy, occupational therapy, and physical therapy. I was already exhausted trying to get him all the help he needed, that I was overwhelmed with the possibility of needing to do more. Autism! Are you kidding me? Why my son? What did I do for him to have this happen to him? Those are only some of the questions I asked myself. It was a day that was so full of emotion but also so full of answers. It was a gut punch, but it was also a sign of relief that we knew what was going on. We’ve had everyone give us their opinion on what we should be doing for him and with him, but we rely on the professionals who have been through this journey with others before. Those professionals provide us with support, they love our son, and he has grown so much because no one will give up on him. He’s truly amazing and so brave. 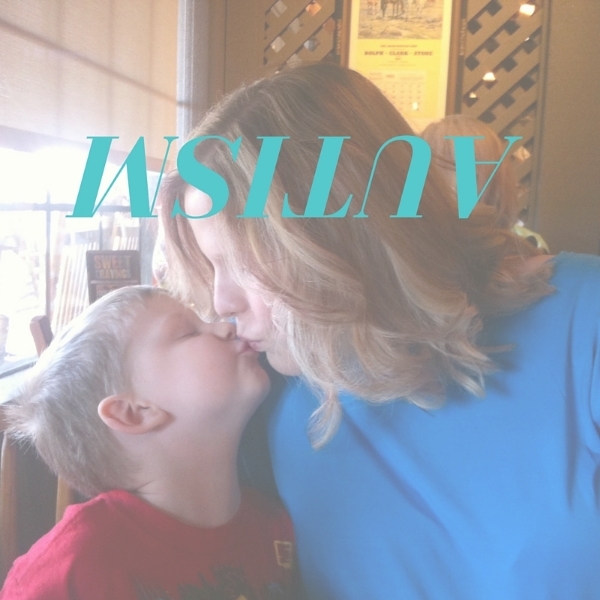 I sometimes feel guilty when I have the moments of feeling overwhelmed that I remind myself that he is the one living with Autism 24 hours a day. He gets up every day and faces a world that doesn’t understand him. When he has a conversation with someone, know that he is working 100 times harder at that conversation than you or I would. When he goes to the grocery store and faces the bright lights, he takes deep breaths and counts to himself, or he lays on the ground. It’s what makes sense to him. All I know is that this boy has taught me so much about life and taught me how important it is to be supported in your darkest hours and even in your brightest hours. Autism may have turned our world upside down that day, but with support and guidance from others, we have taken our world back and made it a beautiful place for our family.